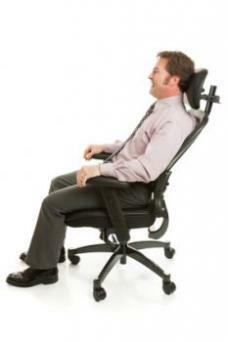 Lumbar support desk chairs work to keep your back out of pain. Knowing where to find these types of chairs and what to look for before purchasing one helps ensure you get the right chair for your needs. Finding a good lumbar support desk chair is crucial to those who work long hours at a desk or have any kind of back ailment. To assure the best possible fit, you'll want to test a few chairs to make sure they're adjustable to your height and body mass. Herman Miller offers desk chairs with lumbar support including Aeron® chairs, which are the all-time best-selling lumbar support chairs. These chairs are available in aluminum, graphite or titanium bases. The design addresses the ergonomic requirements of long-sustained chair sitting, especially support for the lumbar region of the back. The Aeron® chair design was a pioneer in the need for lumbar support in office desk chairs. One of the most notable design elements of this chair and partly why it is such a popular choice is the breathable Pellicle® material used on the back and seat. This fabric allows the owner to remain comfortable for long periods of sitting since it prevents heat build-up so the user remains cool. All of the Aeron chairs can be retro-fitted with a lumbar-support kit. 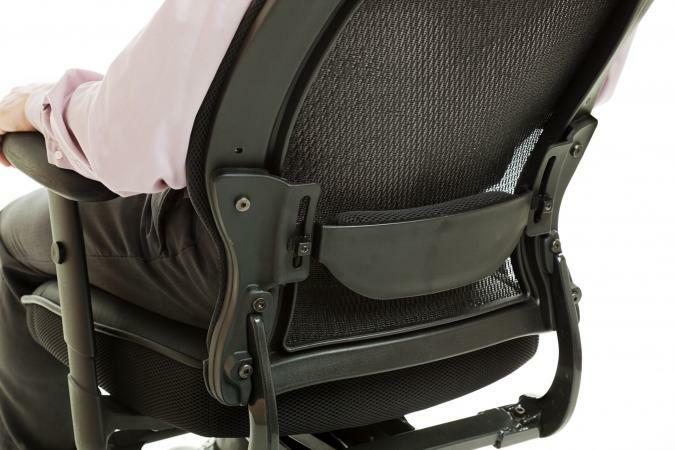 The PostureFit® support system fits onto the back of A, B or C sized Aeron work chairs. This kit provides the owner with a custom-fitted lower back support which is below the belt line. A lever manages the level of support for optimum adjustable control. Beyond the Office Door carries a wide variety of lumbar support chairs including the Mayline Big & Tall 24 Hour Series chairs made for larger individuals and the Nightingale 24/7 Heavy Duty Intensive Use chair made to accommodate individuals weighing up to 450 pounds. There are several things you need to look for when shopping for a lumbar support chair for your office. Consumers often refer to the ANSI/BIFMA performance standards for lumbar desk chairs as a way to gauge quality. ANSI (American National Standards Institute) has many global standards besides those for the lumbar support chair. The BIFMA (Business and Institutional Furniture Manufacturers Association) also has a set of standards which many chair manufacturers meet. You can check the product information and labels to ascertain any such standard compliance. Another consideration when purchasing a lumbar support chair, especially if you're investing quite a bit of money in one, is what kind of warranty covers the chairs and any parts. Some chairs come with a lifetime warranty while others have limited parts warranties. Lumbar support desk chairs are available in many different styles and designs at prices that range from less than $100 to $1500 or more. Buying a desk chair that provides good support for your back is more than simply buying a piece of office furniture. It is an investment in good health and maintaining a healthy back.